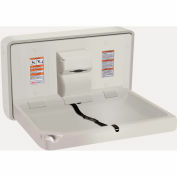 Easy-to-clean FDA approved high-density polyethylene bed measures 35-7/8"W x 20-3/8"D with a safe 250 lb. 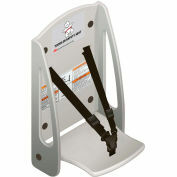 load capacity, concave changing surface, and safety strap. 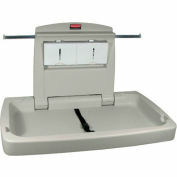 Baby Changing Table features easy pneumatic open-close mechanism has oversized hinge and safety stop. Components are sealed to prevent pinch points. 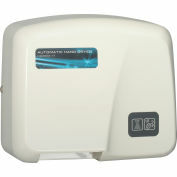 Includes dispenser for towels or sanitary liners, diaper bag and purse hooks, and multilingual instructions. Surface mounted, hardware included. ADA compliant. 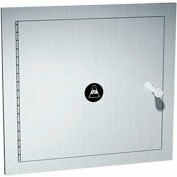 22-1/4"H x 35-7/8"W x 4"D when closed. 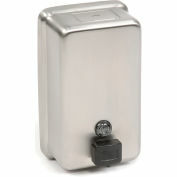 Can you recommend a product to put in the dispenser? 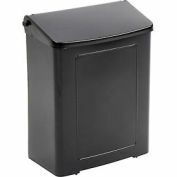 The photo shows a box, like tissues would come in - I'm not sure how liners, like the Rubbermaid ones, would fit. Any info appreciated. 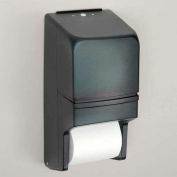 Hello Dave, the Rubbermaid liners that are listed as a frequently purchased item will fit in the dispenser. 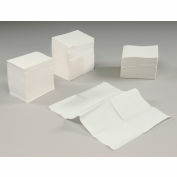 Please see the link: http://www.globalindustrial.com/p/janitorial-maintenance/bathroom/baby-changing-tables/changing-table-protective-liners. Thank you for your question. 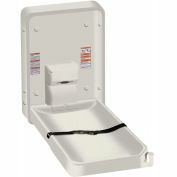 When mounting this item, does the holes for mounting this item line up with the 16 inch spaced wall studs? 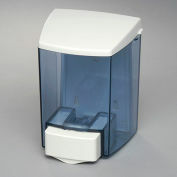 Please call 1.888.978.7759 and ask for a spec sheet. Who is the manufacture ? 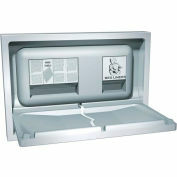 The manufacturer of the Baby Changing Table is American Specialties. 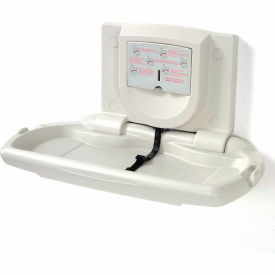 There is no fee for handling the baby changing table. Shipping rate depends upon the ship to zip code. Please call 1.888.978.7759 for details.